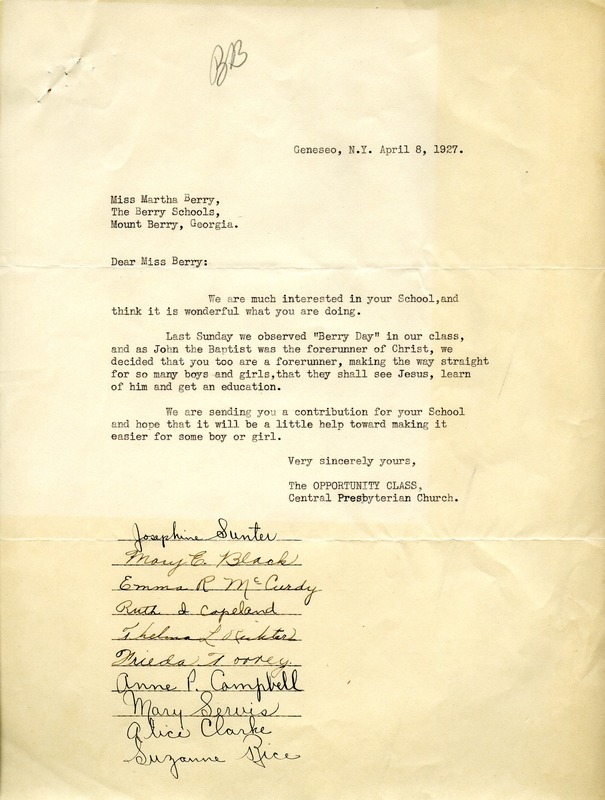 The Opportunity Class of Central Presbyterian Church, “Letter to Martha Berry from The Opportunity Class of Central Presbyterian Church.” Martha Berry Digital Archive. Eds. Schlitz, Stephanie A., Christy Snider, Ree Palmer, et al. Mount Berry: Berry College, 2012. accessed April 25, 2019, https://mbda.berry.edu/items/show/5434.